Amarinder said the gravity of the situation in Punjab could be gauged from the fact that 33 lakh farmers had signed the debt waiver. 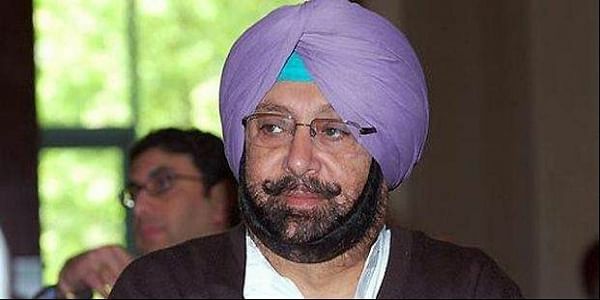 CHANDIGARH: Punjab Congress president Captain Amarinder Singh on Friday raised the issue of the economic plight of the debt-ridden farmers of Punjab at a meeting with Prime Minister Narendra Modi. Captain Amarinder, who was part of the Congress delegation led by party’s national vice president Rahul Gandhi, said farmers, burdened with loans, were committing suicide in Punjab and other parts of the country. Amarinder said the problems of the farmers were being compounded by the manner in which agricultural issues, including minimum support price, were being handled by the Food Corporation of India (FCI). He said the Congress had sought the Prime Minister’s support to alleviate the debt and other woes of the farmers. The Prime Minister, he said, assured to look into the matter. Amarinder said he had spoken at the meeting about the farmers’ plight in Punjab while other leaders from Uttar Pradesh had highlighted the situation in their State. Amarinder said the demonetisation had aggravated the problems of the farmers. In Punjab, where farmers are totally dependent on cooperative banks for their cash requirements, he said. In Punjab, 7,000 of the 12,700 villages had no bank branches or ATMs, he pointed out, asking the Modi government how the farmers could be expected to survive in such a situation. Reacting to Union finance minister Arun Jaitley’s claim that the post-demonetisation situation in the country would stabilise in another two to three weeks, Amarinder said he did not see the situation improving even in the next one year. Amarinder said the gravity of the situation in Punjab could be gauged from the fact that 33 lakh farmers had signed the debt waiver forms under his party’s `Karza Kudki Khatam, Fasal Di Poori Rakam’ campaign, which had evoked massive response from the farming community, including farm labourers. Amarinder made it clear that even if the Modi government failed to extend any support, he was committed to waiving off the loans of the farmers in the State. Neither the farmers nor the ‘arhtiyas’ would have to pay a single penny out of their pockets to settle the outstanding loans, he promised. He said, given the huge savings earned by the Central government in oil subsidy, waiver of loans of the farmers should not be a problem. The BJP government at the Centre had waived off loans of industrialists to the tune of Rs 110,000 crores, he pointed out, adding that the same could be done for the poor farmers, for whom it was a matter of life and death.